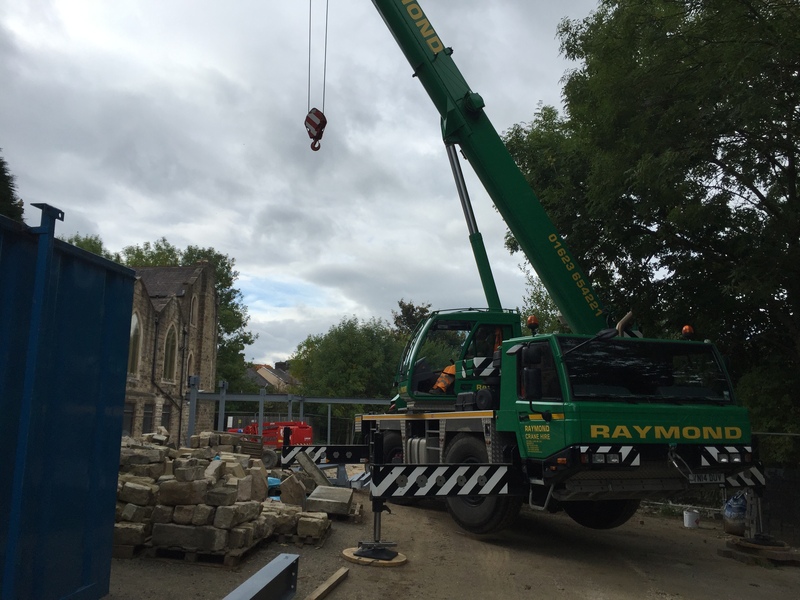 A big crane has spent two days on site this week, putting the steelwork frame onto the concrete foundations. It really feels as if we are making headway after so many frustrations. 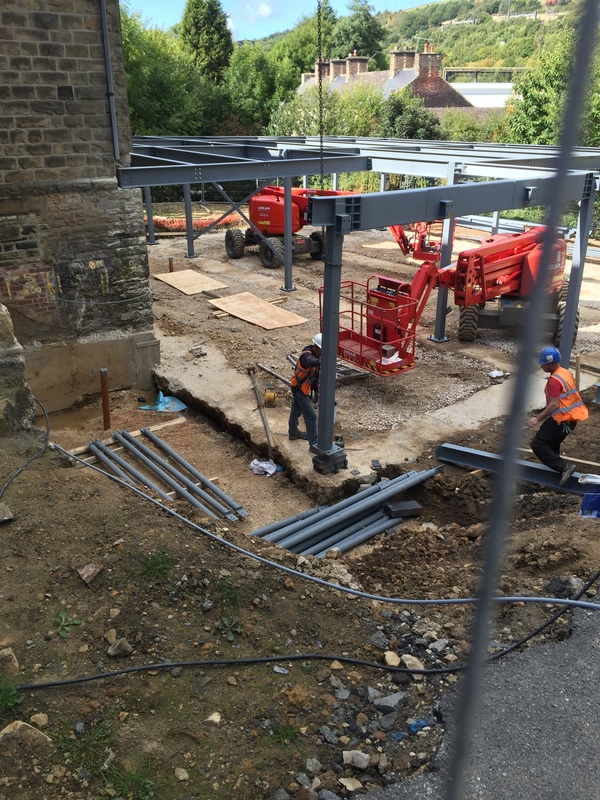 And below you can see the steelwork actually being erected. The men are standing in what will become the entrance to the new hall.